As Ireland readied themselves for the Women’s Six Nations campaign, Donald Trump was stepping up negotiations with the North Koreans. Across social media on the day they were to face England, images from Space Jam began to pop up as onlookers determined that only a basketball game could save the world. There were amusing memes, with Bugs Bunny and Michael Jordan, two of the great egotists of our day, pitted alongside one even greater. All are American products and each in their own way pursue the American Dream. The rabbit and basketballer are cultural icons who have long since overtaken that dream and passed it out – in that territory there are no pinnacles. They shared that potential with the world. The Donald, on the other hand, is playing out a supervillain origin story as he presides over a darkening period in the globalist history of the USA. Inevitably, when plans for a Space Jam sequel were first mooted last year with LeBron James in the lead role, there were genuine theories that Trump would assume the antihero role, following the American President’s bizarre Twitter taunting of the LA Laker. However, the Space Jam message was always so much more than a collaboration between cartoon figures and global superstars. “I’d just love for kids to understand how empowered they can feel and how empowered they can be if they face up to their fears and don’t just give up on their dreams,” James has said of his first starring role in a film. Conceivably then, the stage is set for the empowering figures of James and Jordan to scale Trump’s wall. The theme of the original film was not lost on anyone. In one memorable scene, Bugs Bunny sees that his team mates are under performing due to a lack of charisma and therefore creates ‘Michael Jordan’s Secret Stuff’. The placebo effect takes hold and they start winning. Ultimately, we learned that the players had the ‘secret stuff’ inside them all along. Basketball was never as popular in Ireland than in the mid-nineties. Jordan’s dalliance with Hollywood transcended the sport. We obsessed over the Chicago Bulls, Air Jordans paraded through the villages while Liam McHale, one of the best footballers in the country, admitted that his heart was actually with the hardwood court. Even in the Sligo village of Riverstown, the Jordan effect was keenly felt. By 2015, McDermott was one of the most highly-thought of basketballers in the country. Her reputation in the game was such that she was invited to become a Sky Sports Live for Sport Athlete Mentor alongside the likes Katie Taylor, Karl Lacey and Jessie Barr. A nurse by profession, McDermott’s caring nature wanted to help young people develop life skills and inspire them to achieve their full potential. Privately however, she was at odds at where hers might be fully realised. “Jenny Murphy was also a Live for Sport mentor and we were paired on a training day. Obviously, we chatted about both of our sports and I was interested to get an insight into the rugby world. I’d seen the odd Six Nations game but that was about it. I jokingly suggested that I wouldn’t mind giving it a go at some stage, it sounded fun. She said she’d get her coach to give me a ring and I thought little of it. Coming in from the cold, her baptism of fire with the 7s programme was short-lived. While Eddy could see that her ability was not in short supply, she would need to get up to speed with the game at a club. This reality check was not unexpected and in any event, her interest was piqued. She began to watch clips of rugby matches online to improve her understanding and sussed out others who had tread a similar path. “Once I first got involved, I spoke to Lindsay Peat and Louise Galvin. I was aware of them having made the transition and figured that if they’d done it, I could too. Other people didn’t agree: ‘Oh, Lindsay and Louise are very different players to you.’ They thought I was cracked and that it wouldn’t work. My target was set. “I’m not saying it was easy. I was very nervous on my first night at Railway Union. In fact, it was the most terrifying thing I’d ever done. I didn’t have a clue what I was doing and even when I was doing it, I didn’t know if I was good or not. It was a challenge and there were times when I struggled, but it was the kind of challenge that I was missing. I wasn’t seeing any progression. 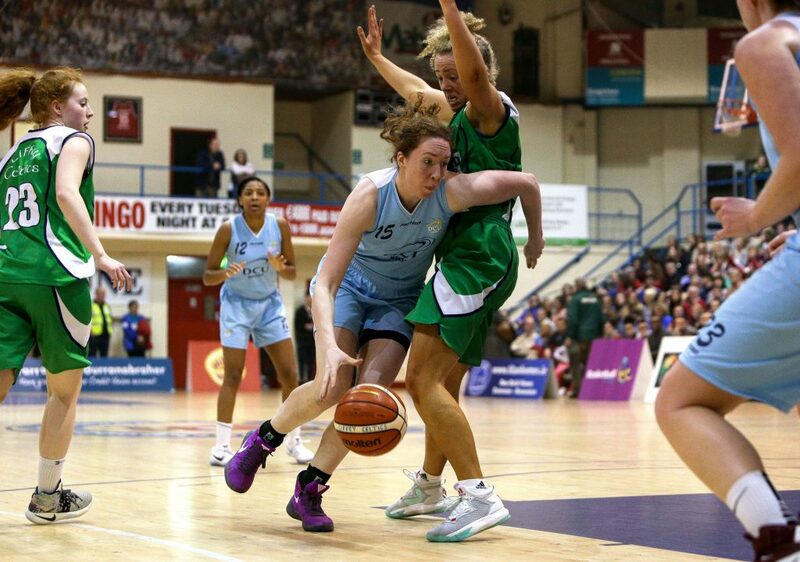 “In basketball you compete with Ireland in the European Championships every two years, so after the 2016 competition, I knew there was a bit of a window to give rugby a go. I tried to juggle the two in that first season – I didn’t want to walk away from starting in an Irish side, so I made sure I’d that safety net. But I spoke to my coach and told him that if there was any clash, I’d be picking rugby. A trained intellectual disability nurse, McDermott worked at LauraLynn Children’s Hospice before taking up her current role in clinical research at the Mater Hospital. Her professional duties by day keep her grounded as she aspired to the loftier heights of the lineout by night. Through sheer diligence and the ability to overcome the fears that the challenge presented, McDermott’s leadership abilities were obvious. 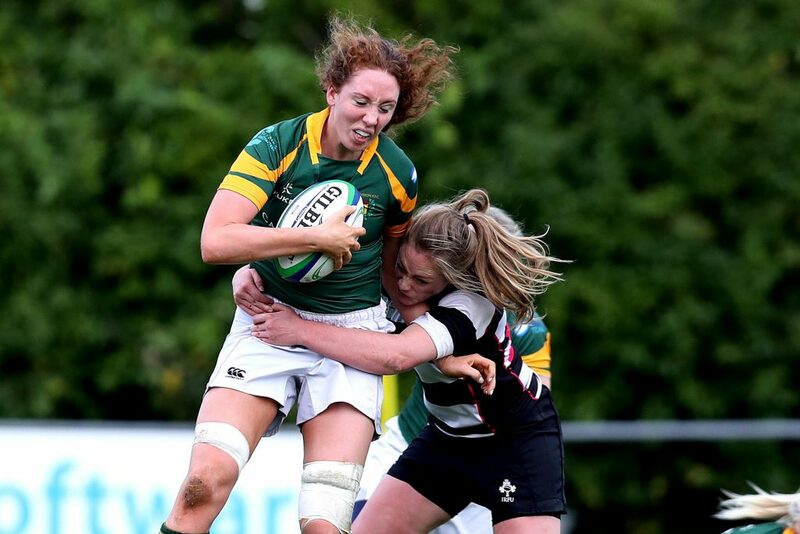 Despite just two years rugby experience and a handful of appearances for Ireland, she is now firmly established in the Irish engine room and assumes a role in the squad’s leadership team. “In the lead-up to my debut against Wales last year, I spent the week hoping I’d get a run out for 10 minutes. It was exciting. But on the morning of the game Nicola Fryday pulled up with an injury. Adam [Griggs] took me aside and told me I’d be starting. I don’t think I’ve ever been as nervous. “Before we ran out, one of the girls (I can’t remember who) came up to me: ‘this is not your first time to do this, you’ve played for Ireland before.’ I began to think of all the All-Ireland finals, the games for Ireland and it put me at ease. I loved it. “Now I’m supporting Ciara Griffin in her role as captain, helping to drive and maintain standards. It’s important that we encourage the new faces coming in, build relationships. If you look at the current squad, we have lost a lot of international experience over the past couple of years, but what we may have lost in caps, we have gained in togetherness. 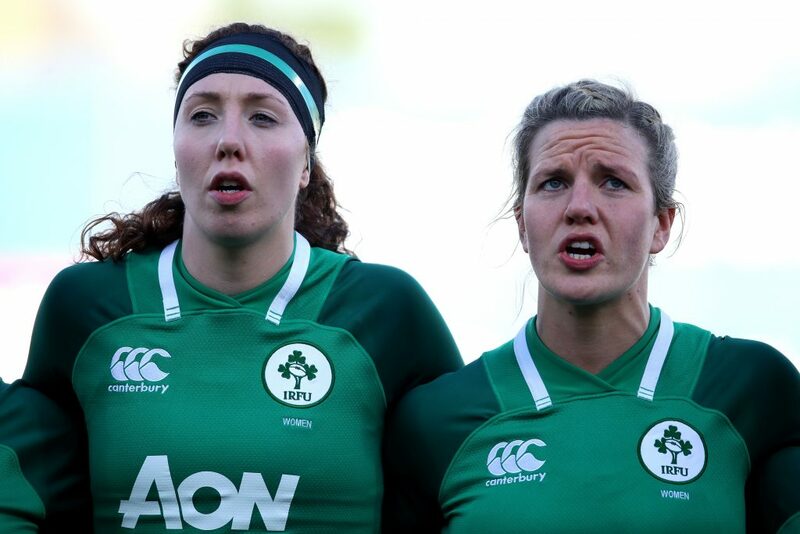 McDermott will need little motivation for the months ahead of her and the Irish women’s rugby team as they set about scaling their own wall of expectation. Afterall, if her love of basketball taught her anything, she has had the ‘special stuff’ inside her all along.